Hey everyone. First post here. Had an accident last weekend that totaled my 2013 SLE Terrain. Thankful no one was injured, but got a good amount towards a new ride after totaling mine. Wife and I needed something a little bigger but not much. I travel a lot with musical instruments and my terrain was getting a bit crowded. 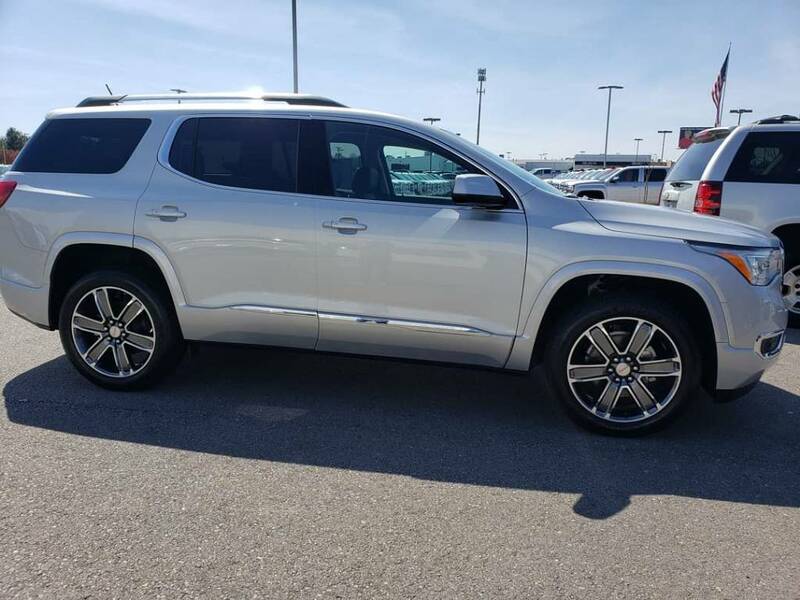 We went to our dealer yesterday and ended up getting a 2019 Acadia Denali FWD. I'm ecstatic! Always wanted a Denali and I feel we got a great deal. After a 7k down payment we ended up walking out the door at $33k. Msrp was $50,125. Not sure if that's a crazy good deal or not, but we love it. 7.5% interest for 4 months then refinancing for lower. Would have taken 0% financing but couldn't get the lower price if we did. to the forum. Beautiful car - enjoy! Pretty NICE.......That's for sure! Enjoy everything about it. you will love the Denali. Takes a bit to personalize all of the settings but its all good. Welcome to the forum. @Aparker2005, you'll see many members have added car info to the signature block of their profile. It shows what they're driving and is useful anytime there's a question to ask about the car - some things are build-specific. Please take time to fill in that part your profile. You won't have to state what you're driving the next time(s) you post to the forum. Question guys! Every time I kill the car and open my door, the car dings constantly and won't stop until I close the door. The dash says start vehicle to view application. Sent from my Firepit using Wet Blankets.